"Your purpose is divine. Let compassion run through the fibers of your business. Lead with your heart and leave your mark on the world. The money will chase you when you step into your greatness." Meet Aisha, a Jamaican born New Yorker with an intense passion for self-development and entrepreneurship. 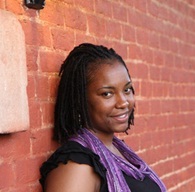 Aisha is the founder of a Baltimore non-profit, I am O'Kah! Inc which provides mentoring and financial aid to deserving high school graduates. She is also the author of the upcoming book, I am OK! 6 Lessons for Unlocking Your Greatness (Spr'14). Aisha is also a real estate investor, avid reader and foodie that stays active lifting weights, playing flag football and practicing yoga.